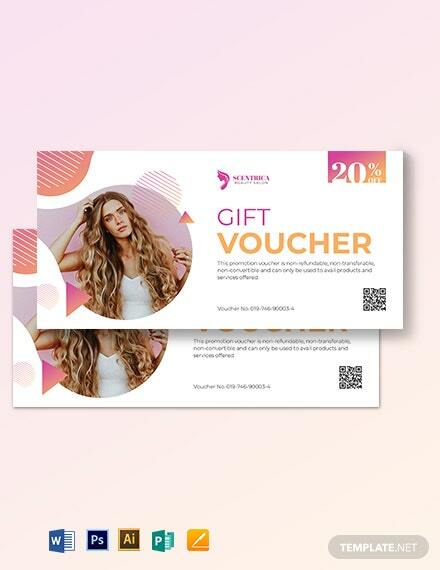 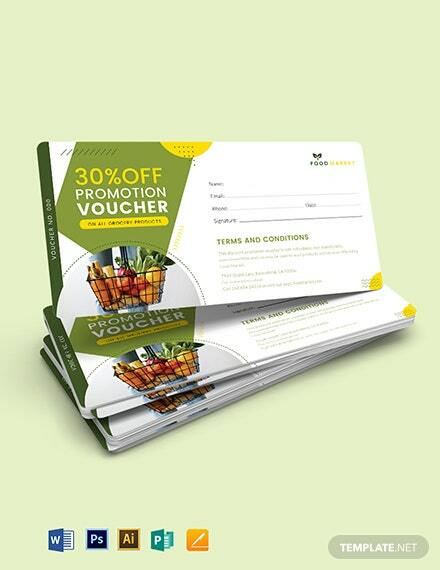 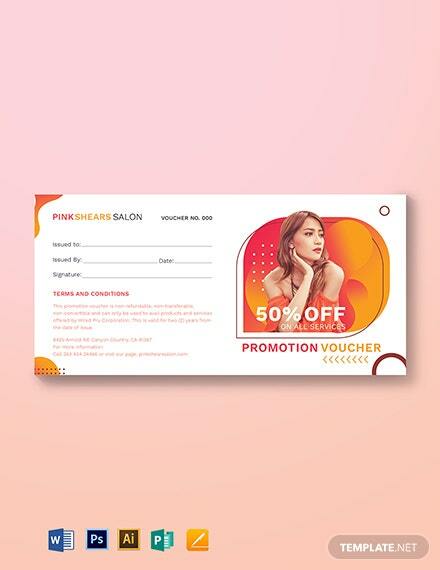 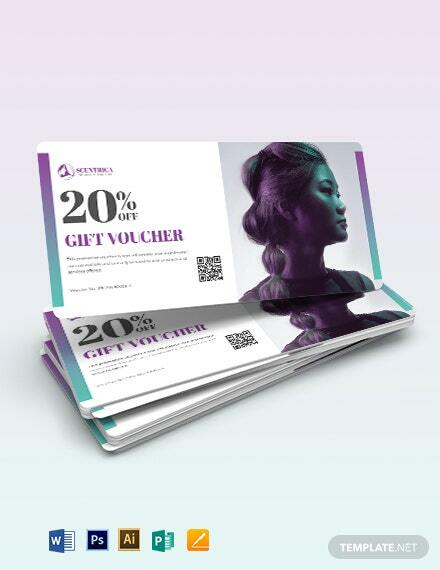 A discount voucher that is perfect for your hair salon business. 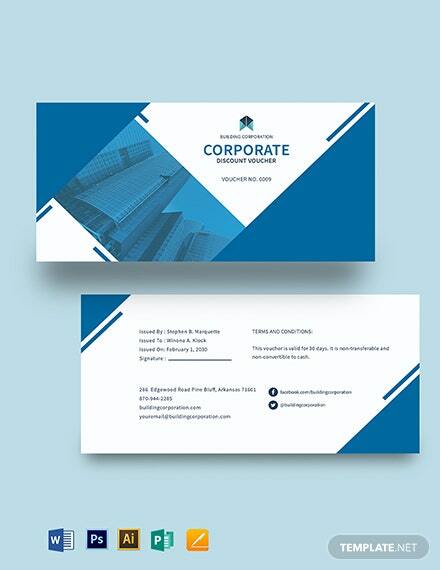 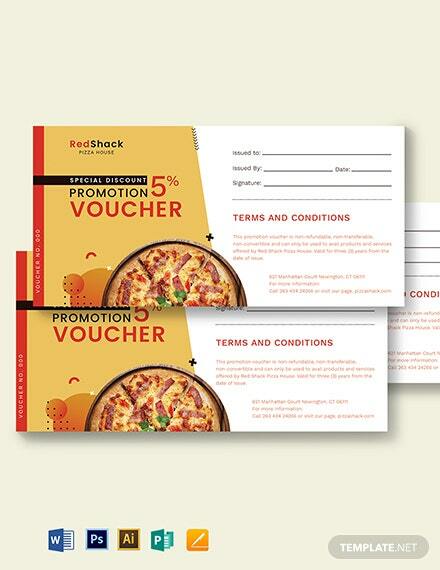 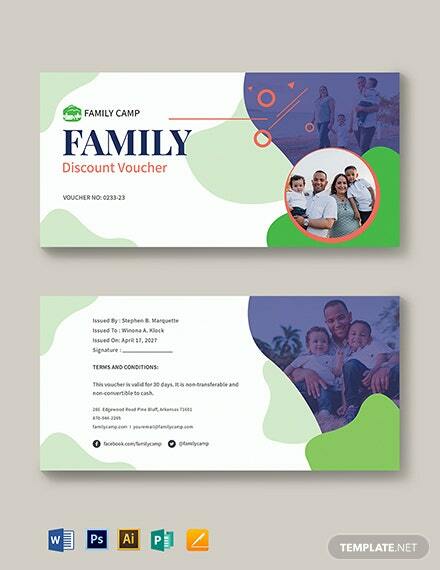 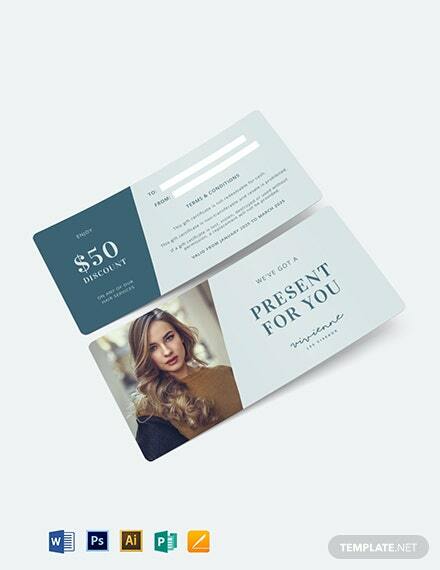 Download this template for free and create a voucher for your customers to use. 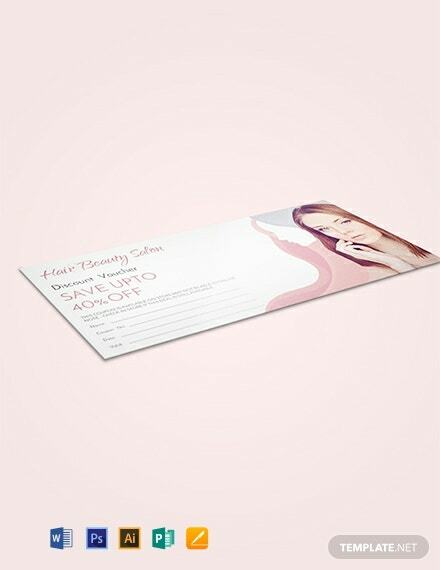 This also serves as a promotional material for +More your establishment.